Tom Dixon’s new collection of vases will bring a distinctive flair of design to your home. Delicately crafted by hand, Tom Dixon’s Bump collection is mouthblown into a graphite mould to produce a distinctive design. 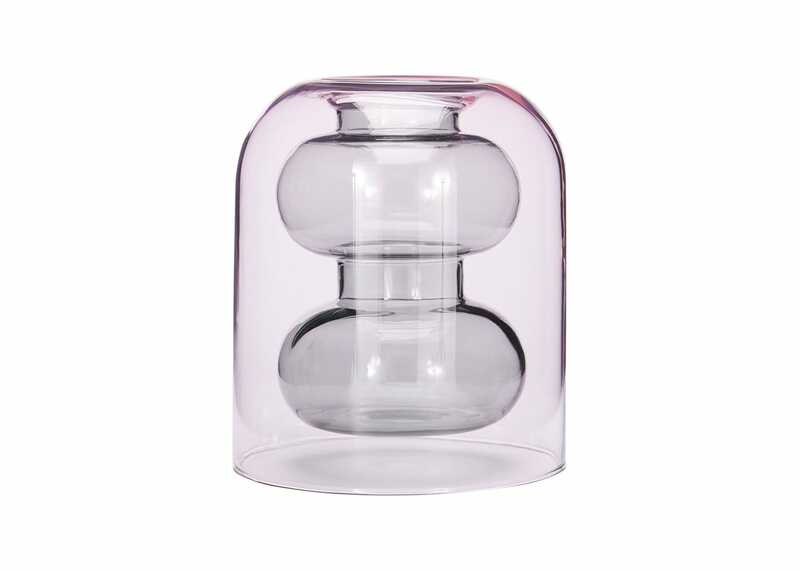 Taking inspiration from laboratory apparatus, this vase is made from thick borosilicate, the heat-resistant glass found in science laboratories and punctured with a bubble design at the centre. Ideal for floral arrangements, this elegant vase will make an eye-catching statement. Distinct shape with punctured bubble centre creates an interesting design. Taking inspiration from laboratory apparatus this vase is crafted from borosilicate glass which is resilient. The products are hand made and variations will occur. Colour may change over time due to the character of the material.